Audi has decided to focus its budget on the creation of new models, plants, and technology in the coming years to catch up with its main competitor BMW. Of the $27.46 billion (20 billion euros) it plans to invest on global operations until 2018, the German automobile manufacturer has invested $1.3 billion in a 150,000 car plant in San Jose Chiapa, Mexico. With the plant’s cornerstone laid in May, the factor is bound to be operational soon to start the production of Q5 SUV come 2016. Mexico has been one of the strongest contenders for Audi’s new assembly plant, mainly due to lower labor costs than the US. In addition, with a Mexican facility, Audi could easily export its vehicles to South America or Europe without being burdened by import and export taxes. That aside, Audi’s U.S. sales will no longer be controlled by European currency shifts while vehicle availability will improve, especially for models like Q5 and Q7 that are widely popular in the North American region. Now Audi isn’t the first foreign automobile manufacturer to shift its operations to Mexico. Leading a list of top producers is BMW, which is currently deciding whether or not to also start an engine production facility in Mexico. Other companies which have set their roots in the country or plan to do so before 2015 are Nissan, Mercedes, Ford, and Hyundai. 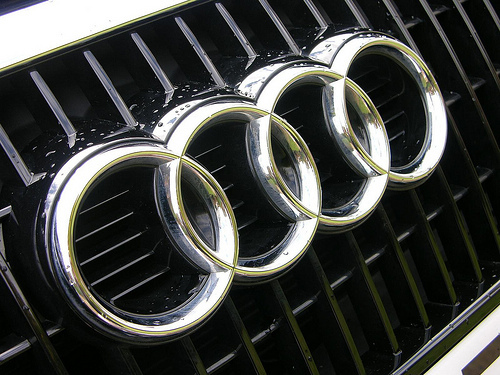 Some of these automakers actually re-opened their Mexican factories to enjoy the benefits Audi will reap and due to the high costs of labor and customs in their factories in China. Due to these changes, Mexico has re-established itself as one of the leaders in automobile production and exports. With 234 bilateral agreements and 122 multilateral agreements, Mexican automotive products can easily access numerous markets across the world. In addition, in the light of upcoming energy reforms and the boom in the solar energy sector, Mexico is going to be able to provide energy to facilities at a fraction of the cost other countries charge. However, there are a few hurdles that Mexico’s automobile industry faces and prevent it from rising from the eighth position among the world’s car manufacturing countries. The first of these is the never-ending drug war, which is one of the reasons executives are forbidden from visiting plants and facilities in certain parts of Mexico. Though Nissan and others say that they haven’t faced such issues, officials have made sure to tactfully place facilities so as to prevent drug violence and corruption from affecting operations. Regardless, the Mexican automobile manufacturing sector will boost the country’s economy and even open a domestic market for the vehicles produced in its new plants. However, for the latter to happen, lending practices will need to be reformed and Mexican banks will have to come up with schemes for first-time buyers. With the help of its new Mexican plant, Audi aims to sell at least two million vehicles and ultimately overtake BMW by the end of the decade.